The outback has half the draft of most offshore vessels! 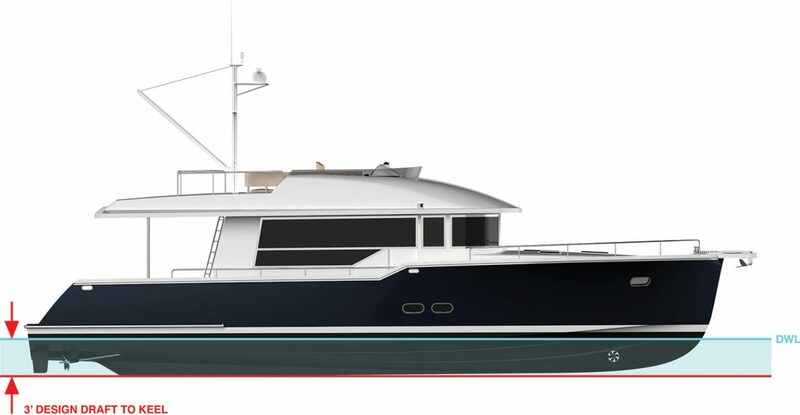 The Outback uniquely provides true offshore capability with the most shoal draft of any vessel in her class. Even more astonishing – she has a keel to help protect the running gear, taking modern tunnel technology to a new level. The prop/tunnel configuration of the Outback provides an amazing degree of efficiency and comfort. The Outback significantly outperforms the vast majority of pod driven vessels in her class. Her tried and tested propulsion design reduces the build and maintenance cost, while increasing reliability and reducing draft. Whether you’re cruising the ICW, Bahamas or exploring meandering tributaries, the Outback can safely take you where other vessels her size dare not go. Copyright © 2019, Outback Yachts. All rights reserved.